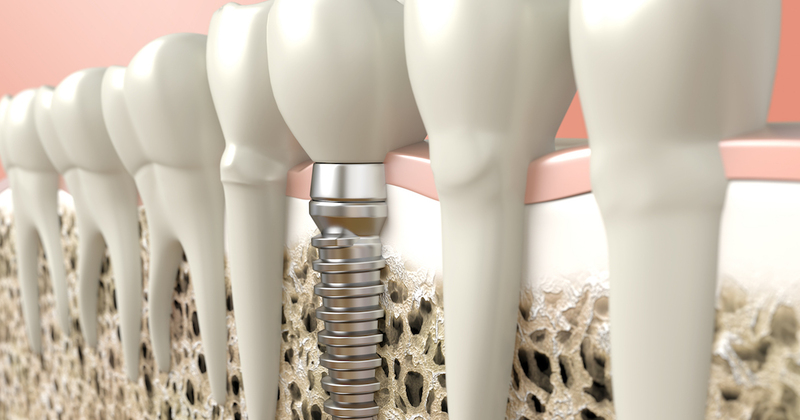 Dental implants are a popular tooth replacement treatment today. They are artificial tooth roots that get embedded deep in the jaw to secure a dental crown in place. In addition to providing patients with a full and attractive smile, a dental implant can prevent dental bone loss by preserving the natural jaw structure. This makes dental implants superior to other tooth replacement options like bridges and dentures, which only improve cosmetic issues but fail to prevent bone loss. While dental implant costs may be higher than dentures and bridges, dental implants are usually well worth it because patients avoid later pricey problems associated with those other options. By choosing a dental implant to replace missing teeth, patients can quickly regain a confident, healthy, and fully functional smile. Bone Augmentation – Patients must have sufficient bone mass in order to be eligible for dental implants. If they don’t, the implant dentist can strengthen the bone with a variety of augmenting treatments. Today, digital imaging lets dentists accurately and easily measure bone mass to determine whether the patient will need additional bone for placement. Mini Implants – These are very narrow dental implants that are mostly used to secure a lower denture to prevent embarrassing slippage.